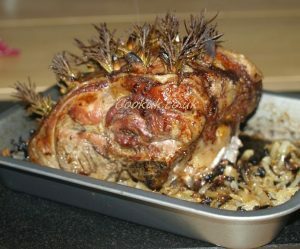 Lamb is one of the tastiest meats from chops to a main meal roast. This index page shows you a wide variety of ways to cook lamb. Click on any picture in the list below for full cooking instructions. If you want a single main meal which is big on flavour but easy to cook then this recipe for individual Shepherds Pie will fit the bill exactly. Lamb is marinated in a mixture of spices. 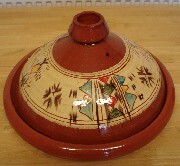 Combine with vegetables then slow cook in a tagine for a delicious lamb dish. Serve on rice. This recipe will give you Lamb Keema Curry which tastes at least as good as those served at top quality Indian restaurants. A traditional lamb dish which results in extremely tender lamb with great flavour. A one-pot dish which is easy to cook and quick to prepare. A full of flavour homemade burger to make especially for your barbeque. Serve with a burger bun and delicious salad for an exceptionally tasty summer meal. Tender leg of lamb, flavoured with rosemary and garlic. Roasted to perfection with the help of our pictures and expert advice. Serve with vegetables and our rosemary and onion gravy. Koftas are a traditional Greek dish of minced lamb and spices. The lamb is formed into a ball and placed on a skewer. Great for the barbecue and also under the grill. Try it with our Greek salad. Lamb chops go very well with our caramelised onions. A great change from traditional mint sauce! This is the original Irish Stew recipe with step by step pictures and advice to help you along. It's not as complicated as you may think with a quick preparation time. Nothing beats a slow cooked lamb casserole on a cold day. Our recipe thickens up the tasty gravy by using pearl barley. A tasty traditional British meal. 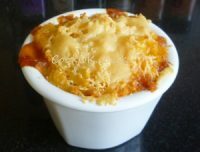 Our recipe uses minced lamb, carrots and swede topped with a delicious potato and cheese mixture. The number one British hot pot. So simple to make with lamb chops, potatoes, onions and thyme. But great on taste. Harissa paste and cous cous combine with spiced lamb to make this a meal that you will cook time and time again. For a light and refreshing dip to accompany this meal mix freshly chopped mint to Natural Greek Yogurt, add lemon and pepper to taste!